[T]he “cyberevent” category requires institutions to detect and report all varieties of digital mischief, whether directed at a customer’s account or at the bank itself. . . .Under a worst-case scenario, a bank’s failure to detect a suspicious attachment or a phishing attack could theoretically result in criminal prosecution, massive fines and additional oversight. Public banks offer unique benefits to community banks, including collateralization of deposits, protection from poaching of customers by big banks, the creation of more successful deals, and . . . regulatory compliance. The Bank of North Dakota, the nation’s only public bank, directly supports community banks and enables them to meet regulatory requirements such as asset to loan ratios and deposit to loan ratios. . . . [I]t keeps community banks solvent in other ways, lessening the impact of regulatory compliance on banks’ bottom lines.We know from FDIC data in 2009 that North Dakota had almost 16 banks per 100,000 people, the most in the country. 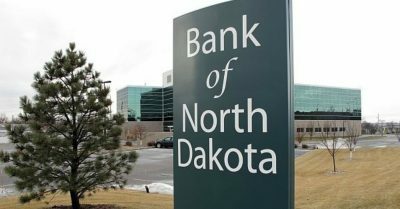 A more important figure, however, is community banks’ loan averages per capita, which was $12,000 in North Dakota, compared to only $3,000 nationally. . . . During the last decade, banks in North Dakota with less than $1 billion in assets have averaged a stunning 434 percent more small business lending than the national average. Ellen Brown is an attorney, founder of the Public Banking Institute, a Senior Fellow of the Democracy Collaborative, and author of twelve books including Web of Debt and The Public Bank Solution. A thirteenth book titled The Coming Revolution in Banking is due out this winter. She also co-hosts a radio program on PRN.FM called “It’s Our Money.” Her 300+ blog articles are posted at EllenBrown.com. This article was originally published by Web of Debt Blog.